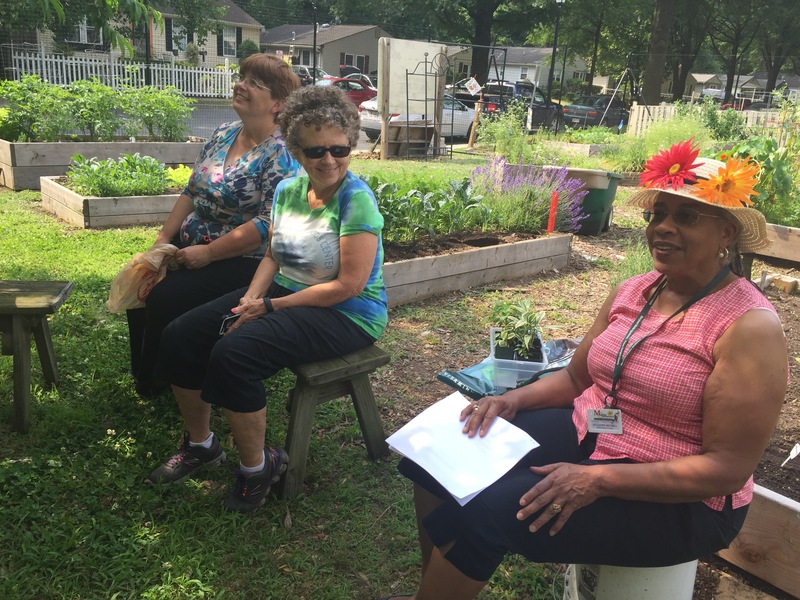 Today, Jullianne Bethea, Master Gardener with the Prince George’s County Extension program taught a workshop on the Joy of Gardening. Gardening is the Number 1 hobby in America. People garden for a multitude of reasons – it’s therapy, a form of decoration, helps to provide food and it’s a form of satisfaction. The majority of people who garden are 55 years or older who are empty nesters. Participating in the Cottage City Community Garden is a great example of the joy of gardening. Not only do we get to feed from some of the best fruits and vegetables in the DC Metro region, but we also get to spend time with our neighbors and learn about their lives and culture. Don’t forget to join us every Second Saturday in the garden for a fun time!